Jute rugs are made from one of the most organic and natural rug-making fibers available. 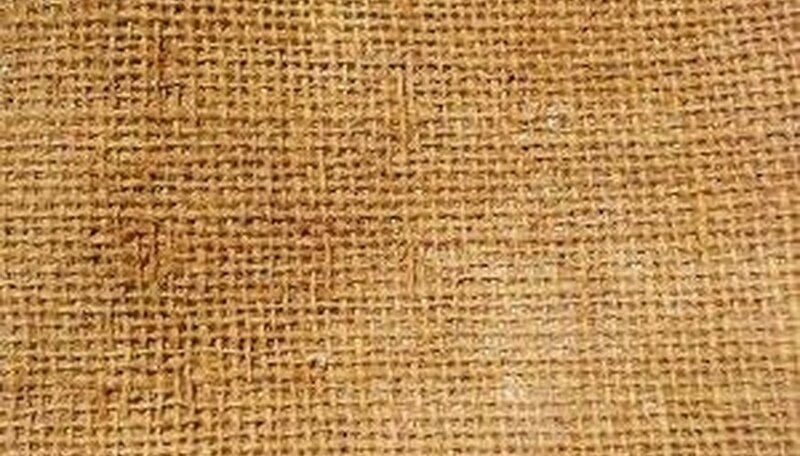 Jute is a plant fiber used to make rope and sturdy fabric. Rugs made with this material are sturdy, hard-wearing and can be highly decorative as well. Jute plants have been cultivated for use in creating fabric or weaving fibers for hundreds of years. They originate in India and nearby Asian countries, such as modern Bangladesh. Jute rugs are fashioned from plant fibers that are woody in texture and thus result in sturdy and coarse rugs. Jute is often combined with synthetic fibers to produce softer carpeting. Due to the sturdy nature of the natural fibers, jute rugs are hard wearing and long lasting. They do well in areas with heavy-foot traffic and are especially used for welcome mats and throw rugs in porches and sun rooms. Jute rugs come in many varieties and sizes, though not as many as wall-to-wall carpeting. Many are undyed natural tan color, but dyed jute rugs are available in many colors and designs. Patterns such as stripes and chevrons are popular. The plants that produce fibers for jute rugs are also used to make rope, twine, burlap cloth and building materials. In Asia and northern Africa, varieties of the jute plant are used in soup and to treat minor aches and sprains. Jute rugs and information about natural fibers.